With Dokan PRO 2.8.4, vendors will be able to do Yoast SEO for each of their products independent of backend SEO, from vendor dashboard. This would allow more visibility and brand awareness. Admins only needs to install the Yoast SEO plugin. 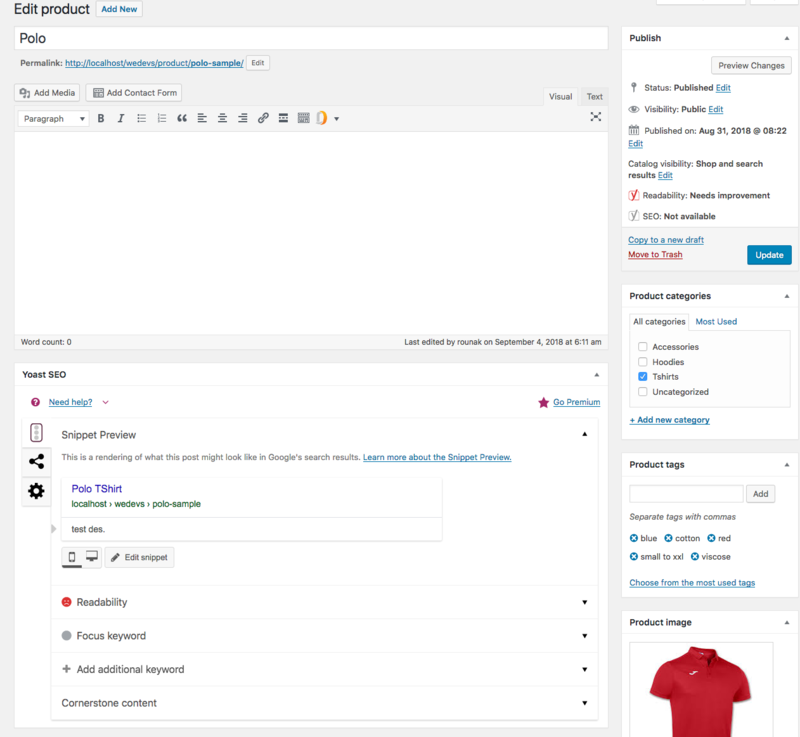 Admins can set up a default SEO for each product if they want by going to wp-admin→Products→Select a product→Edit Product. Scroll down the page to find Yoast SEO widget. Here you can set the Title, Meta Description, Focus Keyword and Slug. With Yoast SEO Pro, you can set multiple keywords. Click on the Product that you want to optimize for search engines. Scroll down to find SEO widget. You can edit the SEO done by Admin and make your own changes. Enter title, description, slug, and focus keyword. 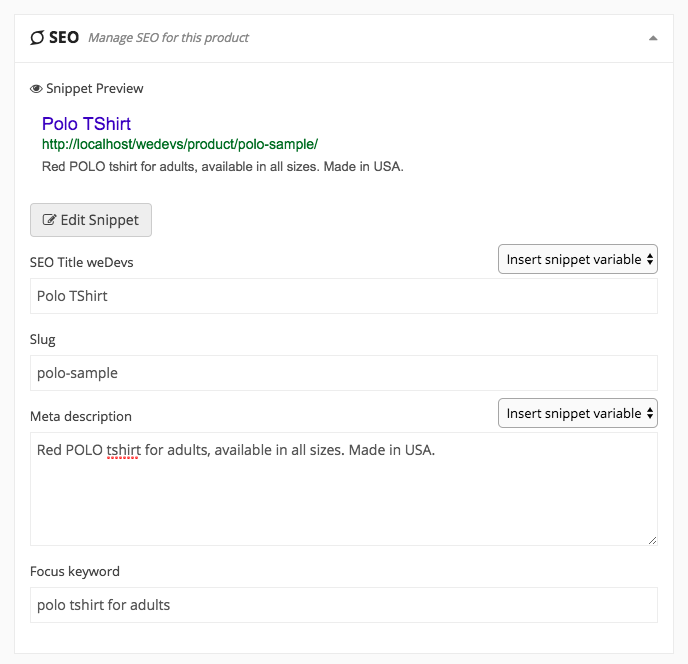 Get to see a snippet preview of how your product will appear in search engines like Google.